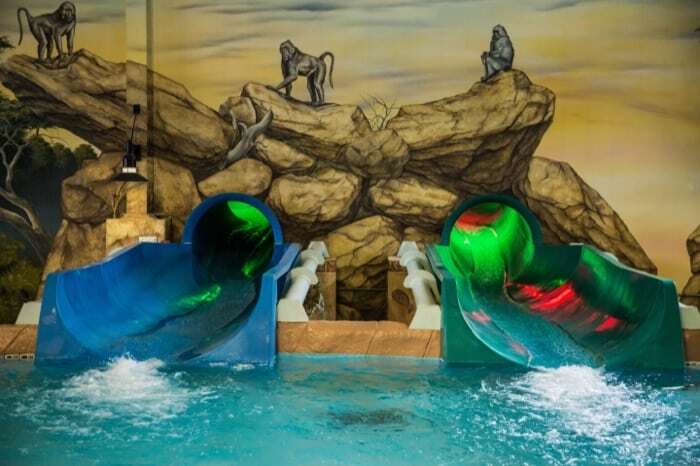 If you’ve visited Kalahari in the past, you already know that it’s pretty amazing because there is something to do for ALL ages. Now there are even more reasons to come back to Northern Ohio because of Kalahari’s newest attraction, Storm Chaser. 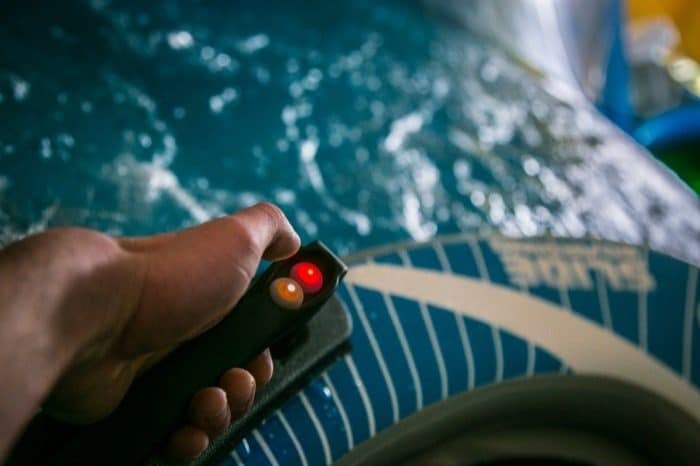 Storm Chaser is an indoor waterslide that offers an interactive video game experience that is exclusive to Kalahari Resorts and Conventions in Sandusky, Ohio. Storm Chaser Broll Extended – Kalahari Resort, Sandusky Ohio from Kalahari Resorts on Vimeo. The indoor waterslide allows you to experience being the player in a real-life video game. It’s what happens when a video game and a water slide collide. Kalahari’s newest water slide offers that friendly competition for family bonding in a screen-free way that encourages family time. The new attraction integrates gaming, skill, speed, and competition into an experience that will define water parks of the future. The Storm Chaser combines the exhilaration of an indoor water slide with the fun of your favorite video game for a revolutionary new experience. The Storm Chaser features a targeted gaming system where riders use a controller to play as they ride a slide board down the waterslide run. The object of the game is to hit targets to collect points while maintaining your speed. The super smart gaming system uses cutting-edge motion tracking to track progress, speed, and skill so riders can compete against each other in a quest for the highest score. 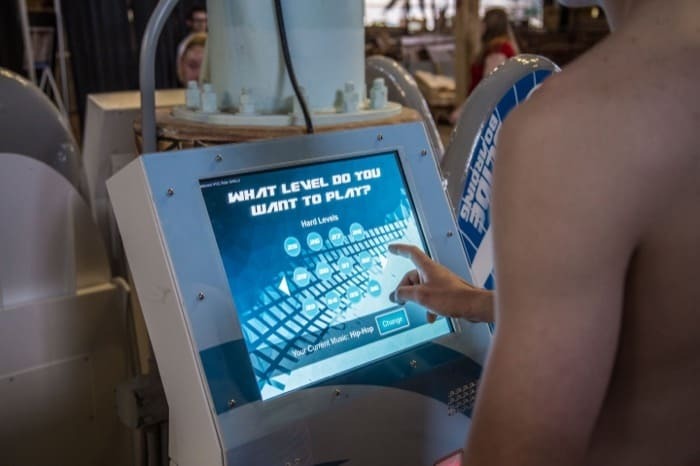 The unique tracking system lets riders build points throughout the day to unlock new levels and compete against each other. 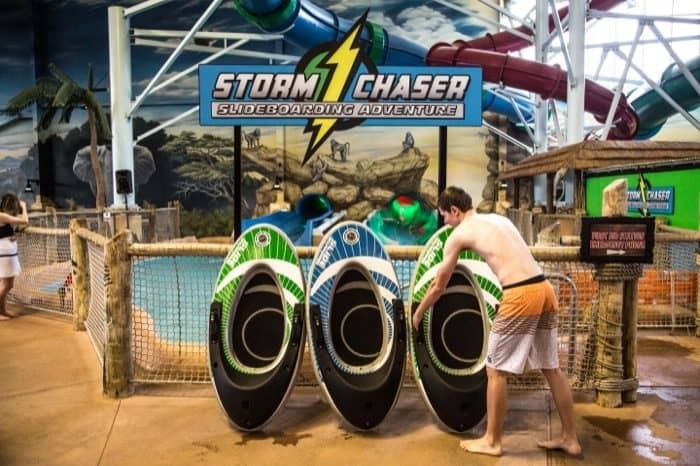 The Storm Chaser joins several new attractions unveiled this year at Kalahari, Ohio’s Largest Indoor Waterpark in Sandusky. 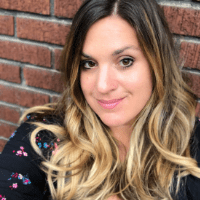 The resort also recently opened five new slides in the seasonal outdoor waterpark and added halotherapy treatments at Spa Kalahari and Salon. Need gift ideas? Why not share an adventure together as a gift instead of buying stuff they probably don’t need anyway. For more information or to book your stay, please visit:www.KalahariResorts.com/ohio. Disclosure: I was given a voucher for review and giveaway purposes. All opinions are my own. My son would love the video game water slide! My kids would love to visit Kalahari! This looks like the perfect place for kids and adults! I want to win and take my son on an adventure! My family loves Kalahari and we are fortunate to live close to one that we visit at least once a year! My family makes a trip monthly to Cleveland and it would be nice to stay over in the area and have a little fun! It would be a great family trip! I would love to check out the storm chase water slide, it looks like a blast!! So cool!!! Would love to go, we have never been!!!! I would like to win and take my family on a short vacation! No way, that is an insane idea!!! My boys would go absolutely crazy over that!!!!! I would love to take my grandchildren. We’ve been looking for a place to go for a quick trip, this would be a perfect place to go!